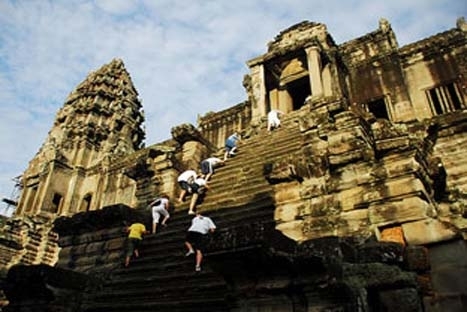 This itinerary is specially designed for travelers who wish to see the major Jewels of Vietnam with a short extension to Cambodia to taste the splendor of Angkor Wat. For decades off limits to all, but today Cambodia is an emerging destination for tourists. You will find yourself exploring friendly countries rich in history and beauty ranging from amazingly magnificent temples to abundance of breathtaking sights. Take our Jewels of Indochina tour and you will be provided in return with the memorable experience that touches your life forever. Welcomed at Noi Bai International airport by our guide and transferred to your hotel. Relax after a long journey before we present you Vietnam daily life with a city walk that commences at the fountain at the north end of Hoan Kiem lake at the southern end of Hang Dao St. Travels through some of the streets of the Old Quarter, highlighting the concept of the ‘36 trade streets’ where each street is named after the original product or service of the individual trade guilds. We see examples of traditional, French and Art Deco architecture. We also visit a communal house and pagoda, the famous Bach Ma Temple and see the house where Ho Chi Minh drafted the Declaration of Independence. Around the Hoan Kiem lake, visit Ngoc Son temple and Old quarter streets. Stop at Thang Long theatre for one hour Water Puppets shows. Note on big group up to 10 persons Aurora will offer a local touching mini water puppet shows at one of the most well-known artist’s house. Visit his house in the Ha Noi narrow alley, chat with the family to learn about the history of a water puppet. 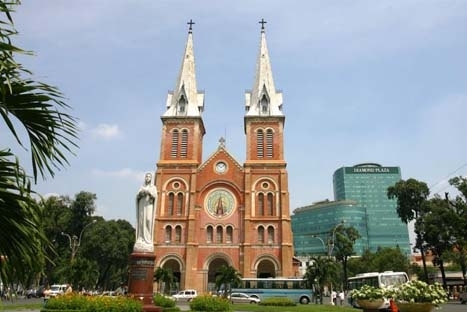 The full day tour commences with a cyclo to visit Hochiminh’s Mausoleum (view from outside on Mondays, Fridays and afternoons as it closed for maintenance), His House on Stilt, One Pillar Pagoda and the Westlake. Next up, continue by car to the Temple of Literature which regarded as the First University of Vietnam (Van Mieu- Quoc Tu Giam). Lunch on your expense. In the afternoon, depart for the hours drive to Bat Trang ceramic village which is located to the east of Hanoi along the Red River; here you can wander freely into any of the workshops or galleries inside the village. Records show that Bat Trang was an important centre for ceramic production in Vietnam and the region as far back as the 15th century. The style of the ceramics being made has changed little and the same traditional motifs are still being used. You are suggested to wake up early for enjoying the morning sound of Hanoi and walking around Hoan Kiem lake and doing Tai Chi exercise with locals. Back to hotel for freshen up and breakfast. After breakfast, take 3.5 hours drive to Halong bay, a World Heritage Area of outstanding natural beauty. Upon arrival, transfer to a junk for a cruise around Ha Long Bay with a delicious local seafood lunch served on board. The cruise passes by many rocks and islets in many funny shapes. Again your dinner served on board. In the evening, enjoy the night fishing (optional) and later overnight on board. Then heading to Hanoi airport for evening flight to Ho Chi Minh City. Overnight in Ho Chi Minh city. Morning excursion to Cu Chi tunnels and take a guided tour with a veteran guide to gain deep insight and personal accounts of the wartime era. On arrival he will meet the group and take them on a guided tour of the tunnels together with Aurora guide (his service is subject to availability). If desired (and not for the faint hearted and on own account) a round of bullets can be fired from anAK47 gun at a target range at the tunnels. Back to Hochiminh city for visiting the Reunification Palace, Notre Dame Cathedral and Ben Thanh market. In the morning, take 2 hour drive southwest of Ho Chi Minh City to the Mekong Delta which is known as the rice bowl of Vietnam. Upon arrival, take a boat cruise along islets and tropical orchards through the canal of Vam Xep to reach a small islet, followed by a relaxing walk along shady and palm fringed trails passing by local villages where you can see their peaceful daily life. Stop en route to sip special tea with honey and sample fruits with a local family and share their stories of life in the Mekong Delta. They will guide you on a walk through their orchard and explain how tropical fruits are grown. Then continue the journey with a paddled sampan through the narrow, tree-lined canals of Mekong River. Enjoy lunch at the islet then visit handicraft villages and a coconut candy factory before returning on shore for driving back to Ho Chi Minh City. Morning free for shopping around. In the afternoon, transfer to Tan Son Nhat airport flight to Siem Reap. Arrive Siem Reap, our guide and coach will pick up at Siem Reap airport and transfer to hotel for check in. Dinner at local restaurant with Apsaras show & overnight in Siem Reap. We start on our bike and cycle (45 minutes for cycling) or drive to world heritage areas on the roads less traveled. Ride among the jungle passing local village and local shop. 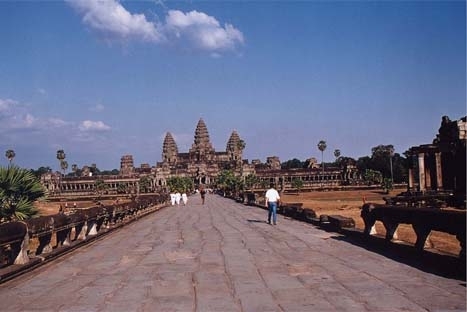 It’s a very special and acting day as you will explore some of Angkor’s most beautiful temples. You will visit the West Gate of Angkor Thom – undiscovered by mass tourist. Enjoy 1 hour foot massage before transfer to your hotel. Breakfast at the hotel, visit Kbal Spean, about 49km from Siem Reap Town and it is literally means "The head of the River.” It is one of the rivers in 1000 lingas that made up of unique lingas. Lingas stands into the riverbed of the Siem Reap River. It was believed that the lingas spiritually "fertilized” the waters that fed the Eastern bay and irrigated the rice fields. Lunch at local restaurant. After lunch, visit Banteay Srei and Banteay Samre. Afterwards back to Siem Reap for overnight. Evening is your free time for walking at busy pub street, dinner in one of many typical local food restaurant, pop up a bar for cool drink or shopping at Angkor Night Market. Early morning we start witness sunrise over Angkor Wat temple and listening singing birds over the ancient land of Angkor area. About 6:45AM we walk to nearby Pagoda and offering food to monks. After monks finished breakfast we start enjoy our breakfast on the ground floor of pagoda, jasmine tea will be served in the peaceful of pagoda. Then transfer to visit Tonle Sap Great Lake for cruising, visiting fisherman’s life, floating fishing village dot the semi-submerged forest that lines the flood plant rim of the lake, back to , visit Chantier Ecole-Artisan d’Angkor, the place are in the Ministry of Education was constructed in 1992 and this place renowned woodworking, stone carving and polychrome training center and workshops. Free tour of the classes and workshops offer a glimpse into the unique skills training program, teaching young artists in the techniques and styles of classic Cambodian artistry before transfer for departure lunch at local restaurant in the town. Then visit old market for shopping until transfer to the airport for flight off. • Gratuity to guides, drivers, hotel porters.. IMPORTANT: All airfares are subject to change without prior notice until ticket issuance.